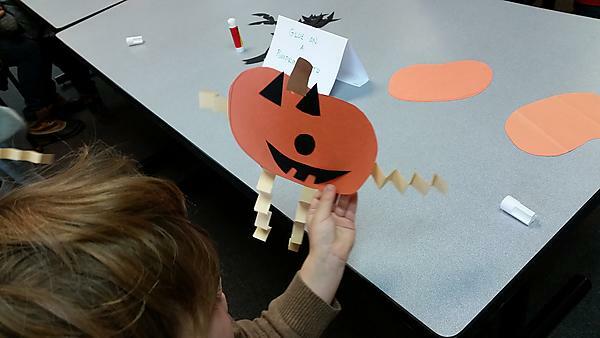 It was Pumpkin Storytime today! We’re building up to Halloween with the “Disguises” Storytime next week (Oct 20), and finally, “Halloween” itself at the Oct. 27 Storytime. Ooooo, we can’t wait! Meanwhile, we still have craft supplies left if you want to make your very own Pumpkin Person.